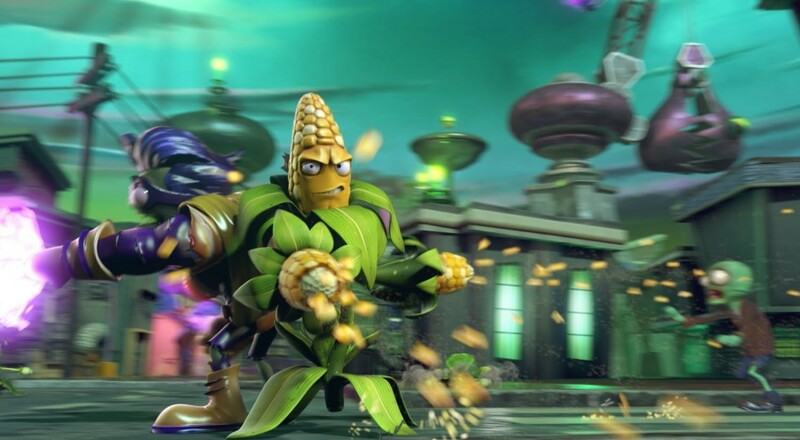 We're a week away from the release of Plants vs Zombies: Garden Warfare 2. At this point, we pretty much have seen all there is to see from a gameplay/character perspective, so all that's left is to check out where the action will take place. The latest trailer for the title goes through each of the 12 maps players will wage war across. There's the snow-covered "Great White North," the snow-covered "Frosty Creek," and the moon dust covered "Lunar Landing." I'm not sure what the other places are covered in (dust, I'm guessing, cause that stuff gets everywhere), but we'll all get a chance to find out soon enough. Plants vs Zombies: Garden Warfare 2 arrives next Tuesday, February 23, on the PC, Xbox One, and PlayStation 4.